You are at:Home»Feature stories»Dam! It’s the beavers! Considered a nuisance by some, beaver dams are vital to wetlands. The North American Beaver (Castor canadensis), often just called “beaver,” is native to North America and a few European countries. 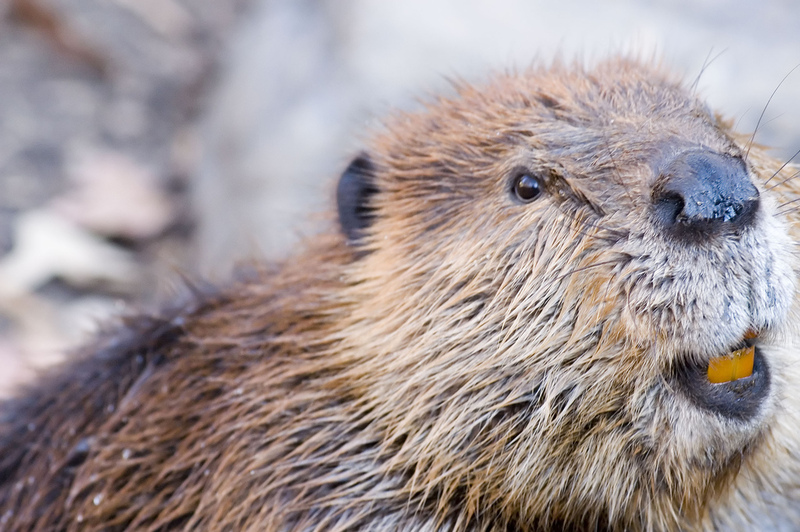 The world’s only other beaver is the Eurasian Beaver, inhabiting Europe and parts of Asia. Another U.S. “beaver,” the Mountain Beaver, is only distantly related and isn’t actually a beaver. Beavers are best known for building dams. Semi-aquatic and primarily nocturnal, they build dams by gnawing trees until they fall over, then moving them into water — a nearby creek, pond, canal or river. Trees too large to be moved are gnawed into a manageable size. Twigs and mud also go into the construction. Dams are repaired constantly and over time grow very large. Their dams aren’t built without purpose, just to stay busy. As someone once said, a dam is their fortress wall and the surrounding water is its moat. As with human forts, the purpose is to keep them safe from enemies. They live within the dam. Well hidden and heavily fortified with twigs and mud, and situated above the water line, it’s their “lodge,” where a beaver family stays cozy and safe. And dry, too, except when coming and going, as the lodge entrance is always below water — another nifty safety measure. The lodge houses a family group of a monogamous adult pair and their new and yearling offspring. Their dams are essential to their survival, but they’re valuable to humans, too. That’s because dams help create wetlands. Half of the endangered and threatened species in North America depend on wetlands to survive. Eighty-five percent of all N.A. wildlife depend on wetlands. Dams help purify water as it slowly trickles through, and aids in control of water silt, too. Their dams slow flood waters, raise water tables, and slow erosion. 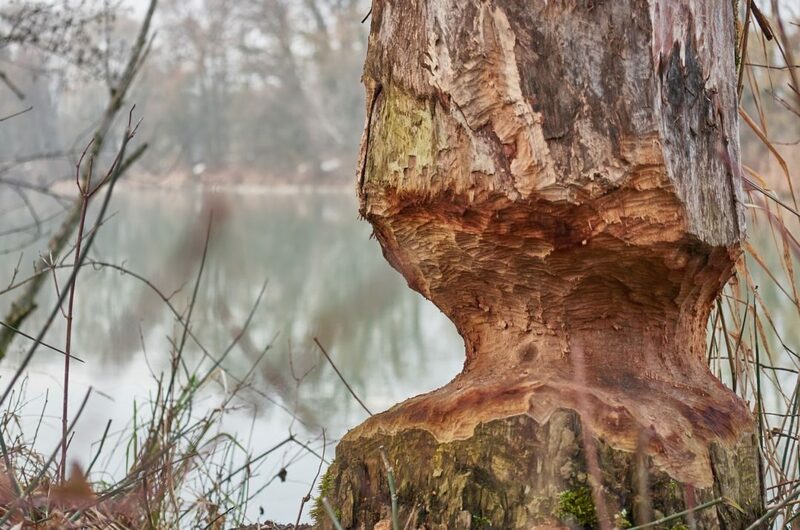 The presence or absence of beavers in nature greatly affects other wildlife and, for this reason, they’re called a “keystone species.” When keystone species are removed from their natural setting, the quality of the habitat goes down, resulting in fewer wildlife species thereafter. 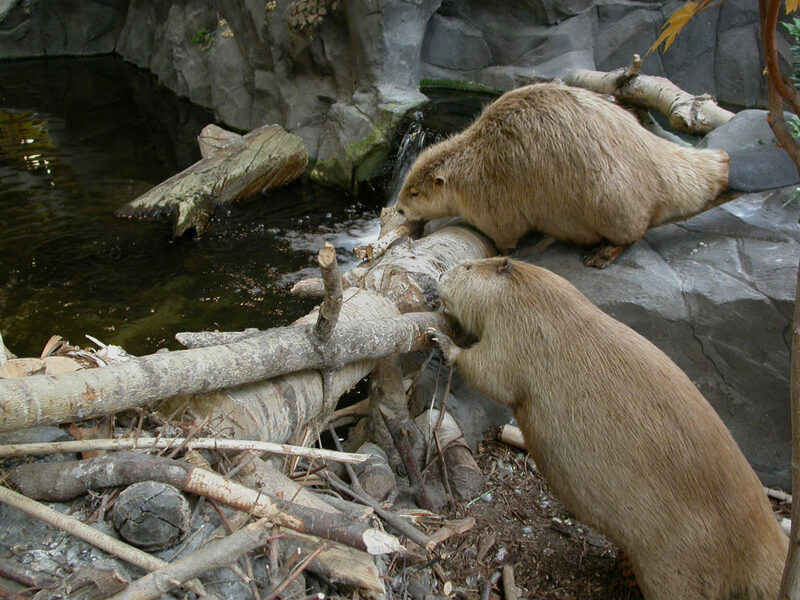 Dam-building comes easily to beavers. First of all, their size — up to 55 pounds — allows them to lift and nudge and drag logs. Also, like all rodents, their teeth grow continuously and they must gnaw to keep them filed down, so chopping up building materials is like dental work for them. They have five dexterous fingers on their front feet for manipulating construction materials. Their hind feet are webbed, making them perfectly designed for propelling through water to construct and maintain their dams. Their tail is scaly and wide, it serves as a rudder while swimming, and when alarmed they use it to slap the water as they dive. The sound can be heard at great distances both in and out of the water. Their diet is mostly herbivorous, with water lilies being a favorite food. They also eat twigs, leaves, bark and berries.